It was a beautiful morning – cool temps and sunny. And my boys had spent the morning inside basking in the glow of a screen. They were playing video games and watching Youtube videos. I was busy – work and other obligations. The guilt was mounting. 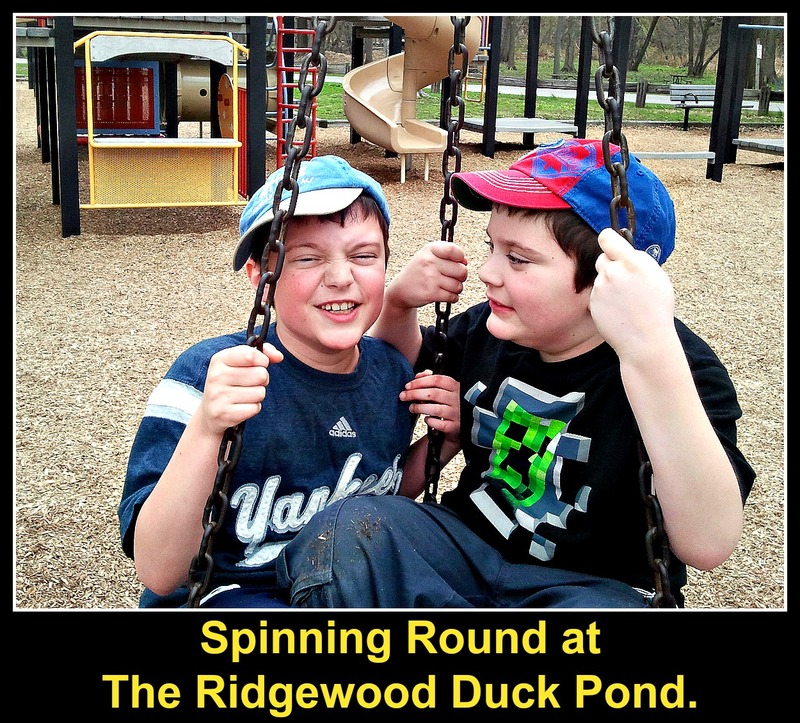 So, with time short and an outing needed, we headed to our old reliable – the Duck Pond in Ridgewood, NJ. It’s our park because every family needs a park. I’m not in your dining room. I’m not in your kitchen. I’m not in your cafeteria. But I know you’ve got weird eating habits. We all do. In fact some weird eating habits are universal. But they’re still weird. And I know yours! Extensive research and conversation has enabled me to make this discovery. Okay, fine. I’ll prove it. 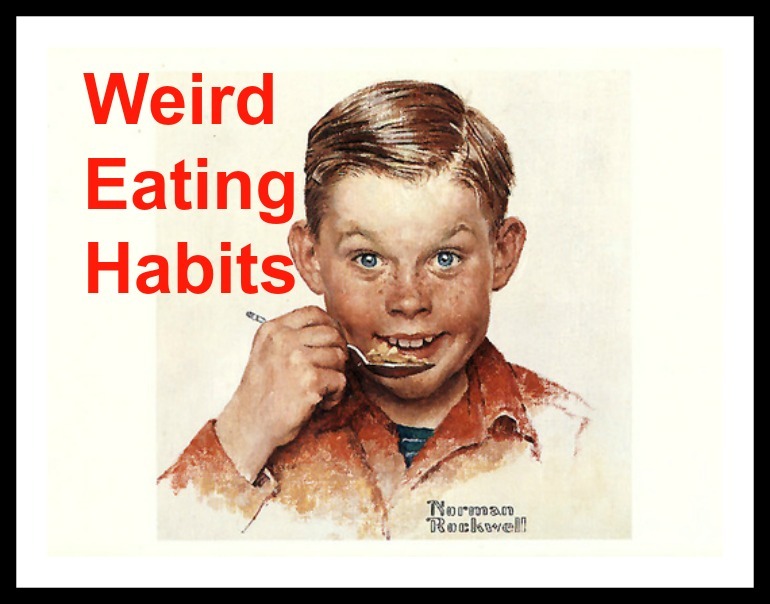 Here are five universal weird eating habits. Eating the Heads of the Animal Crackers First – Everyone likes animal crackers. What’s not to like? They’re simple yet tasty. Yet, whatever animal we get – giraffe, elephant, monkey, etc., you eat off the head first. Why do you do this – I have no idea? Maybe, it’s something Freudian or harkens back to some primitive instinct. Maybe, it has something to do with the need for order. The cookie is always more symmetric when the head is removed. Yeah, I know – I’m over thinking this, but this habit is a little creepy. So, an article that appeared on Mashable which was originally on Space.com. said we’re about to discover alien life. Now to Ellen Stofan, NASA’s chief scientist, about means 10 years till scientists have strong indications of alien life and 20-30 years till we get definitive evidence. Seriously, I think the discovery of alien life sounds cool. But I wander what kind of alien life NASA is talking about. Do they mean plants? Sure plant store owners would be thrilled. It would be another item whose price could be jacked up around Mother’s Day. Botanists would also have a field day. Me – not so excited. Complete sleeper. But what if they really mean life? What kind of aliens would we get? Maybe, the alien life will be funny. The aliens could crack jokes, talk rapid fire, and utilize excessive energy. They could be just like Mork from Ork. After all, who doesn’t miss Robin Williams? They could have their own cable channel – Alien Comedy Channel. They’d occasionally break into their own language which we would find amusing. I’d watch. Wouldn’t you? We always could use more laughs. By the way, what’s the last funny movie you saw? I can’t remember seeing a funny movie in a while. Any recommendations? Anyone? Well, maybe I just have to wait for the aliens. Nanoo Nanoo. 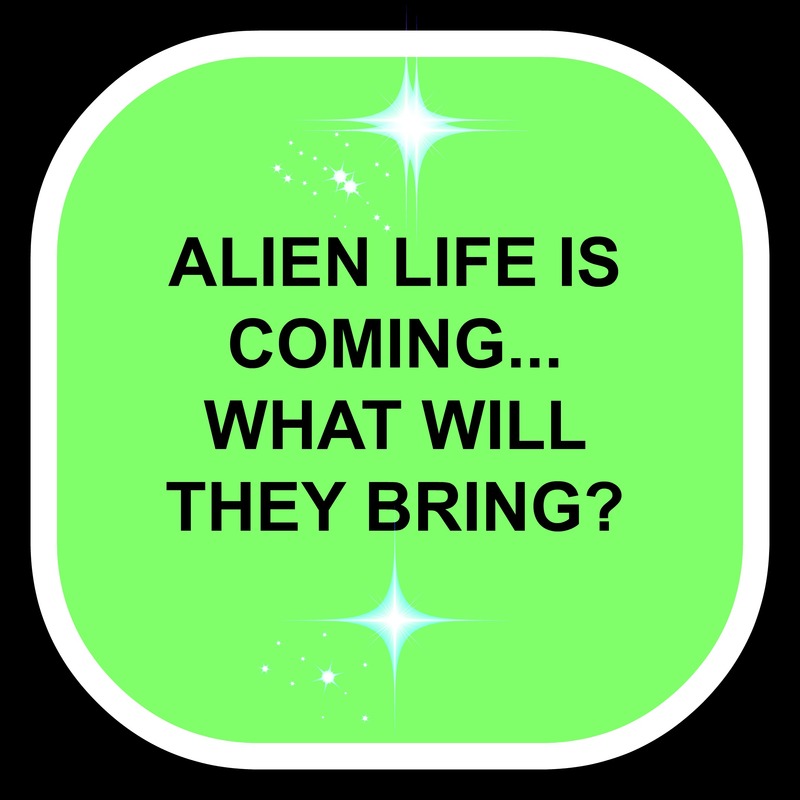 Possibly the alien life will be friendly ala E.T.. They’ll all have glowing red hearts and talk in a voice made horse from smoking like a billion cigarettes. They can serve as babysitters for overtaxed parents and befriend shy, quiet kids. The alien life could make bikes fly and create other fun new transportation modes. Environmentalists would love it. Even better, this new alien life will introduce new kinds of chocolate bars. Hey if Hollywood and E.T. could inspire Reese’s Pieces, you never know what the real thing could do. I’m crazy for all things chocolate. I’m loving me this new alien life. Perhaps, the alien life will come to Earth and pretend to be nice but are actually mean. Maybe, they’ll come here to try and steal our resources. Or even worse, they’ll try to take over our world. Remember the mini-series V.? I loved V, but it freaked me out a bit too (not as much as the –nuclear war television movie, The Day After). The aliens looked like regular people, but their faces came off, and they looked like these vicious reptiles. That was one freaky switch. It’s like children whose electronics have lost power or the opposite of caffeine addicted people in the morning pre-coffee. Scary stuff! Whatever type of alien life we get, at least it will change the news up. I’m tired of the news. It’s so damn depressing. In fact, maybe the aliens could take over negotiations with Iran. The deal couldn’t get much worse. Even better, maybe the alien life could remind us here on Earth to see each other as fellow human beings who deserve respect and not judgement. It doesn’t matter what religion, race, nationality, class, gender etc. one is. Maybe, the aliens could remind us we’re not so different from each other. Just in case, alien could offer us up some other options. Well, I wouldn’t mind space travel, even greater advances in technology, and higher brain functioning. And let’s not forget that chocolate. Yes, I’m ready for Alien Life. What about you? What do you want from the aliens? Who is your favorite Superhero? Batman, Spiderman, Superman, Hulk? Whoever it may be, think of the powers he/she has. Maybe, the superhero has tremendous strength, amazing speed, can fly, or is a super genius. I know what the superhero can’t do. Stop time. That’s right. Not even a superhero can stop time. Remember the first Superman Movie with Christopher Reeve? Superman learns that Lois Lane has died, and he’s distraught. So, he flies incredibly fast and makes time go backwards. I remember watching that scene and thinking it was so cool. Anyway, superheroes can go back in time but not stop it. 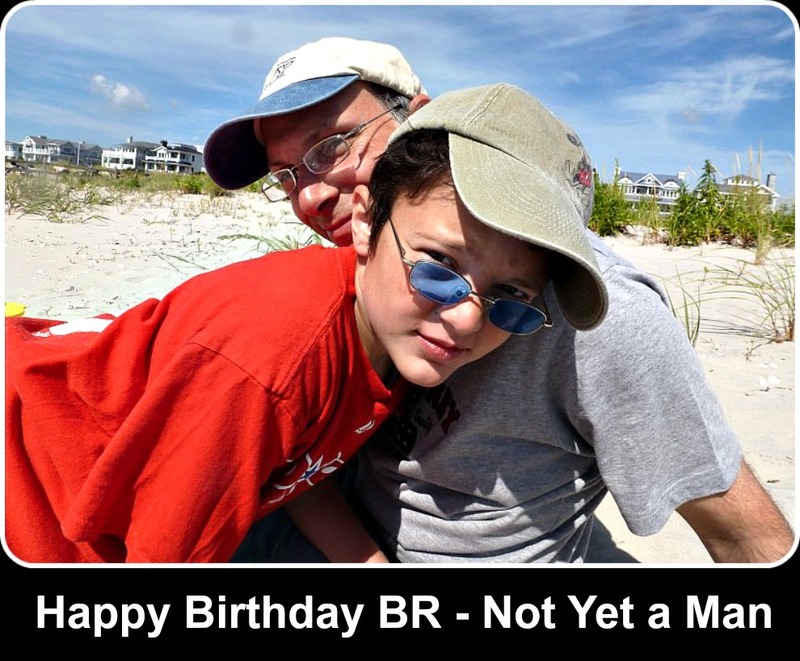 “I’m a man now,” said BR. He deliberately said it in a deeper voice than is his usual. He knew what he said wasn’t true. But it’s not so far off. My son turned 11 this week. Someday soon, he’ll make that same declaration, “I’m a man now.” He won’t have to make his voice deep because it will already be so, and he will be serious. Or he won’t say it all and simply act the part – working, driving, and fending for his own self. I hear the clock ticking. I also see it. I see it in his actions – his attempts to be more mature, his desire for independence, and his growing interest in his friends. Don’t take any of this as rushing the process. I’m not in rush for this to happen. I’m also not longing for the baby days – though there is something genuinely sweet about holding a helpless baby whose needs are generally easily fulfilled – I’m mostly content with the stage my boys are in now. So, I’d like to fly like Superman did in the movie, but rather than go back in time, I would slow it down. I would make the years longer – say 500 days instead of 365. Pretty awesome, right? I know, I know. Just saying it would have some very cool benefits – like being able to spend more time with my children. Okay, I can’t hold back, delay, or extend time. No point in even dreaming of it. Yet, sometimes I think I may be holding BR back. He and I read together every night before he goes to bed. While I have read that it is good even for older children to be read to and am a huge advocate of reading with your children, he might not need me anymore, and It might be better for him to be on his own. Since the end of September, BR and I have been reading Harry Potter. We’re now up to Harry Potter and The Half-Blood Prince. I’m enjoying the books. And I never would have read it if not for reading with BR. Besides reading the books and watching the movies, we discuss them as well. We are our own book club. But I don’t care about Harry Potter (well, maybe a little). It’s about hanging out with BR. It’s about doing something with my son. We don’t just read at night. We talk. About stuff. Some nights it’s more than other nights. But the opportunity is there. So, I may be babying him. And, it’s not just the reading. There are other ways I may be holding my son back. You know how sometimes you just do things yourself rather than having the child do it. After all, you reason, you can do it faster and better. Yeah, I do that – often. Whether it’s straightening up his room, sweeping the floor, etc., I should stop or at least do this less often. I know it doesn’t help BR. Not in the long run at least. The days will go by, and the years will pass regardless of what I do or don’t do. He’ll need to be independent. Ultimately, it’s my job to help BR grow up and mature. Some of the growth will happen naturally. However, in ways that I can help or make a positive impact, I need to do so. That’s the job I got 11 years ago when he was born. It’s called parenthood. And parents, like superheroes, can’t slow down time. But I’m still reading with BR for as long as he’ll allow it. Or at least until we finish the last Harry Potter book.